Cats are notoriously fussy eaters. But despite this you might find that your cat doesn’t always know what’s best for it. There are a lot of types of food that cats can’t eat, some of which may surprise you more than others. Feeding your cat is easy, for the most part! 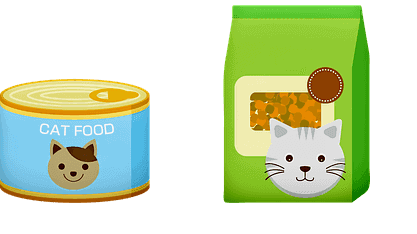 Branded products in the form of both wet and dry foods are available for owners to purchase. 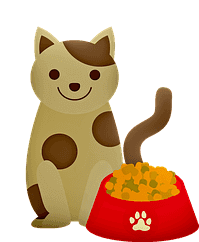 They offer a balanced meal as well as enough nutrition and nourishment to let your cat live a healthy, happy life. For cats with certain dietary requirements, such as hyperthyroidism or problems with their urinary tracts, food products exist that can also support their health concerns. Also, if you have certain preferences towards ingredients, products are available which are grain-free or protein-rich. But food isn’t just limited to meal times. There are also a great many different types of treats available as well. They are carefully manufactured to not be too unhealthy as well, and can even promote things like healthy gums or teeth. Even still, you should give these sparingly. Because of the wealth of options available, it’s not necessary to give them unprocessed foods or human foods to supplement their diet. So what food are cats not allowed to eat? For all their fussiness, cats can also get tempted by the wrong kind of food. But along with some of the more obvious no-no’s, there are a few you might not have heard about. If you’re a careful owner, you should make sure not to feed any of your cats the following. It might be a delicious treat for you but chocolate could be fatal for your cat. That’s because coco beans contain a substance called theobromine (1), about 1.2% by weight. While it’s not an issue for people, cats and other pets metabolise theobromine much slower, so just a little can cause theobromine poisoning. Cats don’t make good drinking buddies, and even as little as two teaspoons of whiskey could pose a real hazard to your cat. It can cause a toxic reaction known as ethanol poisoning. This can also be picked up from rotten and fermenting food such as apples, or even medication containing alcohol. Although a naughty cat might like to thieve a baked good off of your kitchen counter, you should be aware that uncooked dough is not good for them. Yeast dough, like alcohol, can ferment and cause the same sort of poisoning in their bloodstream. It’s unlikely they will eat this though, unless they are severely hungry! Cats react to caffeine in much the same way as humans: increased heart rate, rapid breathing and restlessness. If they only ingest a little, you will find your cat stressed out by the experience, which is unpleasant. But too much caffeine can lead to irregular heart rhythms as well as potential seizures and possibly even a collapse (2). It’s well documented that grapes and raisins are bad for dogs. In cats, they can also be a hazard. Although it is not known why and there is very little documented evidence, there is a risk that your cat can suffer kidney failure if they eat this food, so they should be avoided. Sweeteners, such as Xylitol have been known to cause drops in blood sugar levels, which can lead to convulsions and liver failure. These are found in chewing gum among other products, so be safe rather than sorry and avoid these. Onions and garlic are likely to be spilled on the floor when you’re chopping up ingredients, and if you’re not careful a more greedy cat may come and gobble it up. A little onion and garlic won’t do too much damage to them if ingested, but too much of any of the family of vegetables can cause severe problems including anaemia. You might think some of the foods above are no-brainers. But what other foods are cats not allowed to eat? Human food is very rarely safe for consumption by cats, but there are a few foods that urban legend says are good for cats. Because of this, owners continue to offer them despite their unsuitability. 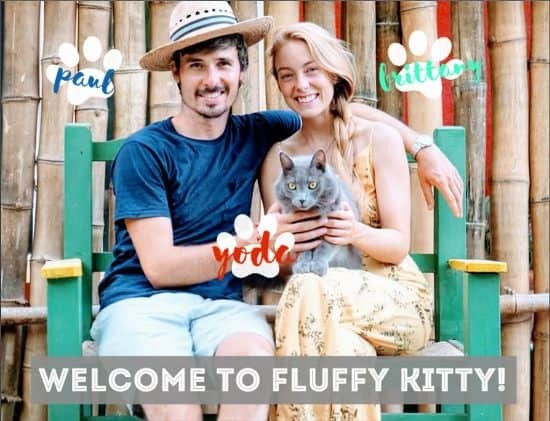 Cats and cream, in nursery rhymes and old wives’ tales, are a match made in heaven. But really, you should avoid giving cow dairy to a cat. Cats cannot process the lactose and may suffer digestion problems as a result. Although we’ve all seen big cats at the zoo chewing on a fresh bit of meat, you might be surprised to learn that this isn’t always the best diet for a house cat. Raw chicken and eggs can contain the salmonella virus, which is incredibly dangerous for anyone, let alone a cat. Although meat is fine for a cat to eat, if not nutritionally balanced, you should try cooking it without any spices before feeding it to your cat. Raw fish, on the other hand, contains an enzyme which can break down your cat’s thiamine levels. A lack of this B vitamin is associated with neurological problems, and can cause comas and convulsions. It’s tempting to want to give your cat the scraps of your meal, particular if they are the begging kind. But you should never give the trimmings of fat from meat to a cat, as this can cause intestinal upset (noted by diarrhoea or vomiting). You should try to avoid cooked chicken bones. These are prone to splintering when chewed which can cause serious internal damage and choking. This one may seem harsh; cats love tuna. They love the smell and they love the taste. The difficulty with this over other items on this list is that your cat will seek out tuna, and will likely demand it. As an apex predator, Tuna often carry around a large amount of mercury in their blood thanks to all of the smaller prey that they eat in the ocean. This mercury gets passed on to the person who then eats it. Typically, that’s us, but humans can deal with a dose of mercury relative to our size. Cats however, may succumb to mercury poisoning from a much lower dosage. Although found in the same sections of the grocery store, food that is for dogs is not suitable for cats. Dog food is formulated to be nutritionally balanced for dogs who have different needs (and are often bigger than cats as well). A little won’t hurt if swallowed accidentally (if your cat eats from someone else’s bowl, for instance), but a lot may, as it’s not specially formulated for felines. Although we have discussed the value of good, cooked meat, the one exception is liver. Too much liver may cause Vitamin A poisoning, the symptoms of which may on occasion be irreversible. We all love to treat our cats, to reward them for good behaviour or just to give them something to enjoy for being so cute! But even if you’re feeding your cat normal, store-bought cat treats do try to limit the amount given. Treats should account for no more than 10% of your cats food intake per day. To give more than the recommended amount risks weight problems and conditions such as diabetes. It’s unlikely that your cat will eat your medication, but you never know. Anything you may be taking for any ailments you have will invariably do damage to your cat should they swallow it. Even non-prescription drugs such as ibuprofen can be harmful to your cat if swallowed, so make sure you’re careful about how and where you store your medication, particularly if you have a cat who loves to scavenge. If the worst happens and your cat eats something it shouldn’t have, your first step should be to call a vet. They will be able to give you professional advice about what your next step should be. They may recommend you visit them for medical action, in which case you should move as quickly as possible. However, you may not see your cat eat the offending item, which means diagnosing it is somewhat harder. You should keep a check on your cat’s health at all times, and note any unusual behaviour as it could be an indication of one poisoning or another. When cats eat foods they shouldn’t issues may include: lethargy, digestion problems, restlessness, vomiting, diarrhoea, convulsions, or an increased heart rate. For things like vitamin A poisoning, you also may notice gum disease or general oral ill-health. There are many foods cats can’t eat. Some are human foods that fall into the wrong hands (or paws). And some foods you think cats can consume, actually aren’t great for them. Although it sounds scary, it is rather easy to manage your cat’s diet effectively. 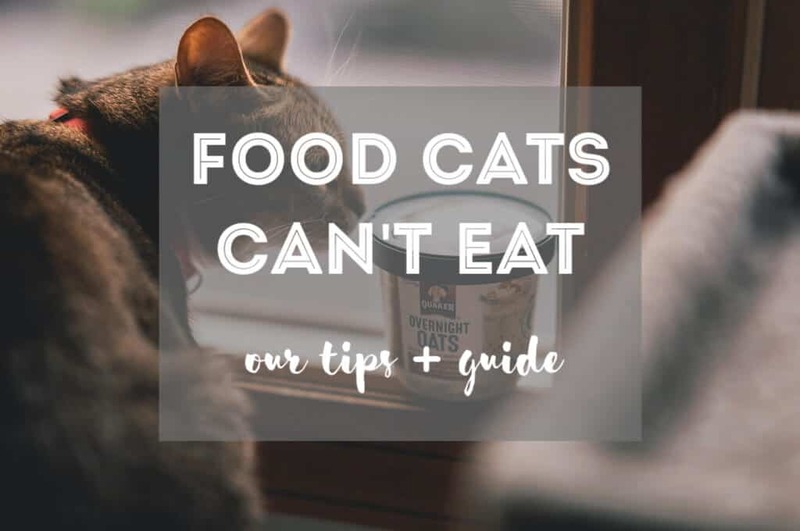 Cats very rarely scavenge or eat what they shouldn’t, so unless you don’t tempt them with a tuna tin sitting out, or a tasty bit of liver on the table, you should rarely have a problem. Accidents do happen, though. In any case, prevention is always 100% better than cure. That means keep your fresh food and raw meat away in the fridge, your medicine bottles capped, and anything else you don’t want pinched in a cupboard away from prying eyes. Cats are masters of getting into places they shouldn’t so, you’ll need to be extra careful!